Most unexpected things are always in the most unpredictable places. 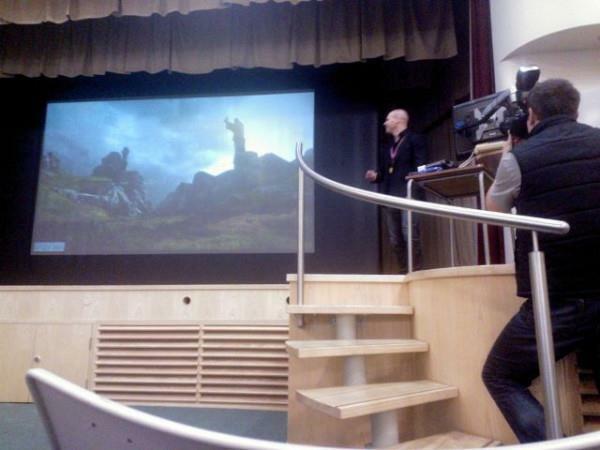 The first Dragon Age 3: Inquisition screenshot was briefly shown at the 19 annual animation films festival in England. The fact is that the BioWare’s art director , Neil Thompson, made a short report at this event , which focuses on the operating time of their subordinates. Among other examples of what the computer game’s animators reached, he led a screenshot from the new game, currently being developed by the studio. Unfortunately the picture was taken hurriedly and left vague, but it is clear that soon we can expect more details about the game.